Marceline w/ Ax Bass. Princess Bubblegum w/ Peppermint Butler candy bag. Finn the Human w/ Jake the Dog candy bag. This is awesome! 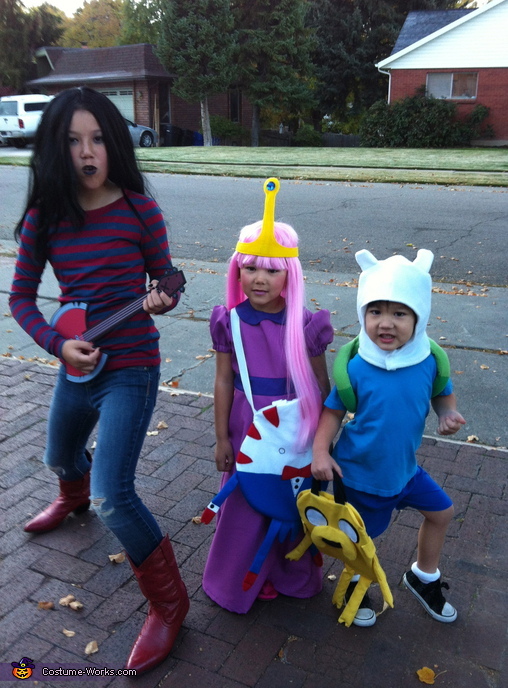 My boys want to be Finn and Jake for Halloween! Great Costumes. My daughter wants to be Marceline too! That's a great outfit! But where did you get the boots!? Not easy to find an inexpensive pair. She's 10 and wears a women's size 8.